I got a surprise package from Pakistan Beauty Bloggers Community and luckily saved it from being devoured by my four month old Shitzu pup! 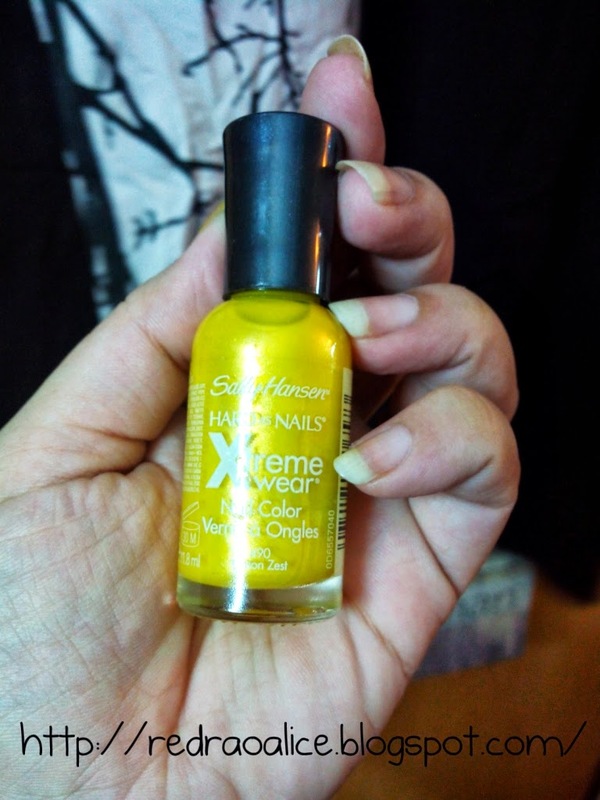 PBBC sent me Sally Hansen's Xtreme Wear Beach Blast nail color in Lemon Zest to review. The tricky part was that I don't own any nail color in yellow because I still feel that this is one color that just doesn't click with me. I experiment with makeup and have crazy shades in nail polishes but yellow never made it to the collection, til now. Sally Hansen’s Hard as Nails Xtreme Wear Beach Blast collection, nail colors with a patented micro-shine complex for reflective brilliance and Xtreme shine, now in new, fruity summer shades. Hard as Nails Xtreme Wear Beach Blast Collection packs bright, juicy color plus a high gloss finish, all in one bottle. Add a pop of color to any look with eye-catching, delicious, fresh shades. I consider Sally Hansen as one of the best Nail care brands so as far as quality is considered its spot on. It doesn't chip easily, has great consistency and yellow nails (after you remove it) are a rare sight. The shade I am reviewing from this collection is Lemon Zest - A shimmery Yellow shade (border line tilting towards green). Yellow on its on is quite difficult to carry off and when you add shimmer to this color its like a disaster or an epic Fabulousness in the making. As far as the formula goes I only had to apply twice (lightly second time) and it dried quickly. No chipping for three days of wearing and the shine didn't wear off either. Application is also smooth. The shade glides on leaving less tension for messy nails. As far as the shade goes I am not excited. Maybe without the shimmer, a bit more on the orange side, it would have worked for me. I did check this shade out online and it looks good on really fair or really dark skin. At the moment it seems just a tad bit sickly but I will let you judge as well. What do you think? P.S: This product is not yet available in the Pakistani Market and was sent to me for product review only. Apparently Sally Hansen products still find there way here as I keep seeing them in Agha's and Ami's (Khadda Market, Defence, Karachi) so keep your fingers crossed! Yeah this will definitely be a good detail or base polish for nail art! agreed! Will Check it out :) Thanks Areej! I love this colour. Yellow is such a great colour for nails.